See an interesting comparison of the pace that new vs old media billionaires made their fortune. Particularly explicit of the changes happened over the last decade in media industry. If you are living on a shoestring you may wanna know how the rich backfire their properties and income from tax assessment. 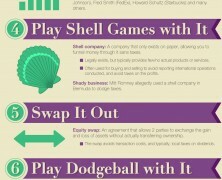 If you belong to the well-heeled, then check if you have overlooked any of the 10 most common methods of tax invasion. 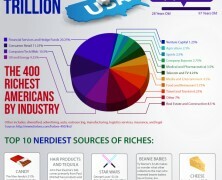 The 400 richest Americans by industry segmentation according to Forbes rank. See who list in the top 10 and how they made it.